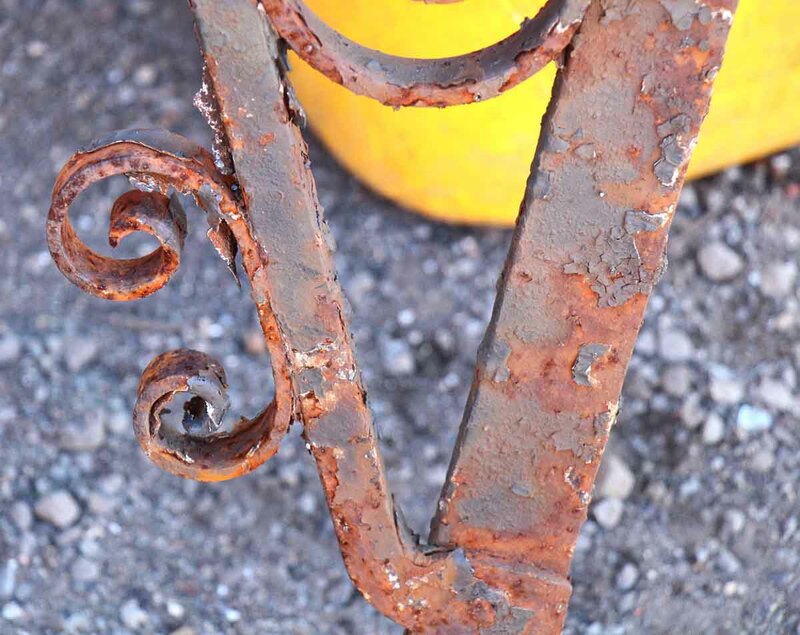 Distressed rusty metal architectural brackets. 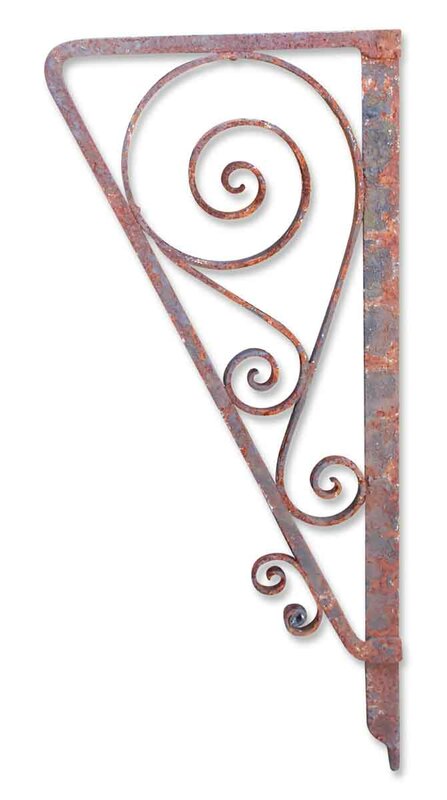 Great for hanging plants and signs. 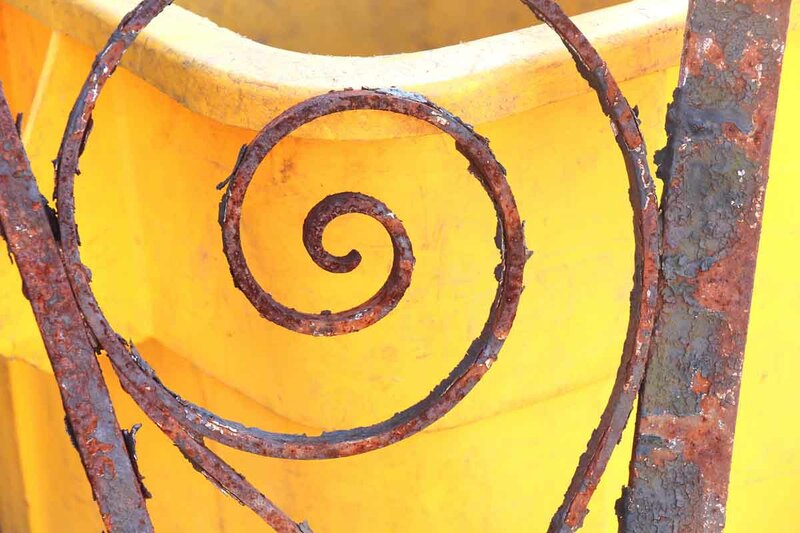 These were originally used as balcony brackets.